When it comes to online dissemination of knowledge, an education WordPress theme works best. An education-oriented theme throws up a world of possibilities for course developers and users alike. Being tailor-made for kindergartens, schools, universities and online educational courses, such a theme is beneficial for student, teachers, and parents. From interactive learning modules to video tutorials, customizable pages to online payments, an education WordPress theme has everything an educational theme needs. In the following pages, we will take you through 50 of the best education WordPress themes you can get your hands on. Education WP is a flexible and easy-to-use education WordPress theme. You don’t need to be a coding expert to find your way around it. Education WP is based on LearnPress, a widely used Learning Management Systems (LMS) on WordPress. The theme is fully customizable and has a drag-and-drop page builder. It allows students to upload their work once a task is completed. It is accessible through various devices like smartphones, tablets, laptops, and desktops. Divi allows you to build anything visually. It is equipped with Divi Builder which is an amazingly responsive front-end editor. You can make real-time modifications and execute them instantly. 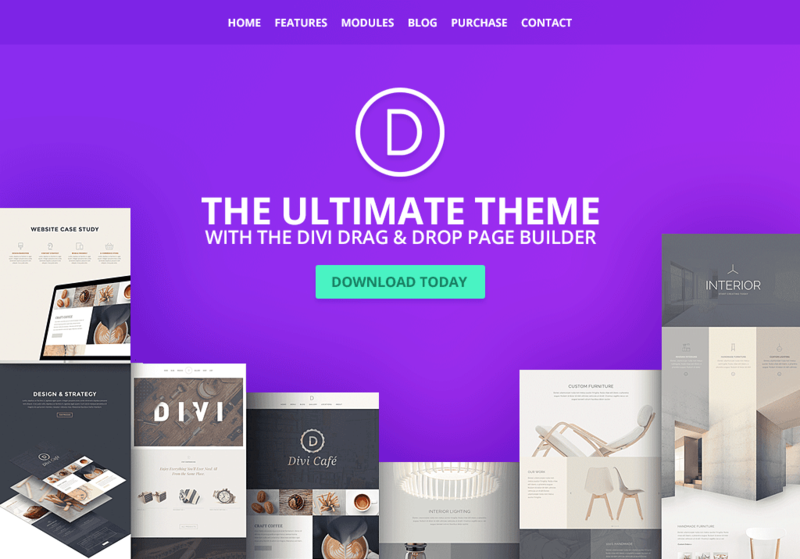 Divi has 100% customizable colors, fonts, layouts, and designs. It has 46 content elements and 20+ pre-built layouts. You can organize your content in a way that is easily accessible to your users and clients. 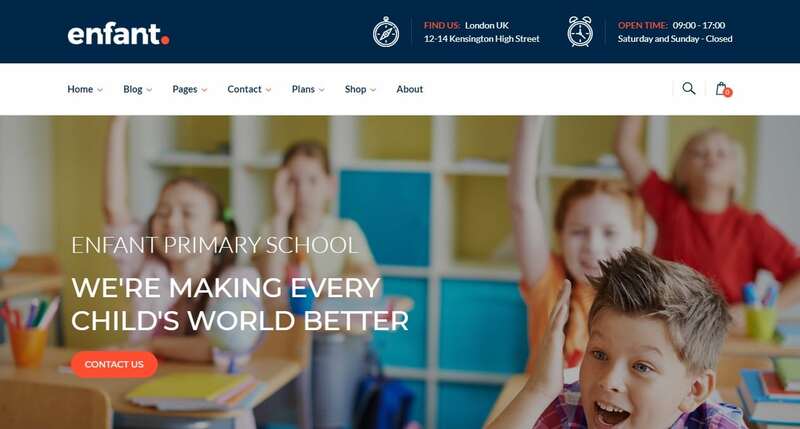 Eikra is an ideal education WordPress theme for school kids. It has a responsive admin panel with SEO-orientation. It allows you to publish tutorials featuring 12 homepage versions with single and multi-page formats. Eikra is multilingual. It has LearnPress and it is RTL-compatible. It has 20+ header options that include 6 Header and 4 Top Bar Layouts. It also gives you the freedom to work with unlimited colors and fonts. Superwise is a comprehensive education WordPress theme for all ages of school children from preschoolers to high school students. It is a responsive educational website theme with over 20 inner page layouts. It is Google Classroom-ready, and has links to Gmail, Google Drive, Google Sheets, Google Docs and Google Calendar. It has 24 School Niche Inner Pages that support Google fonts and has infinite color options. Redux platform offers better customization and Revolution Slider makes the website more engaging. Access to Gmail, Google Drive, etc. 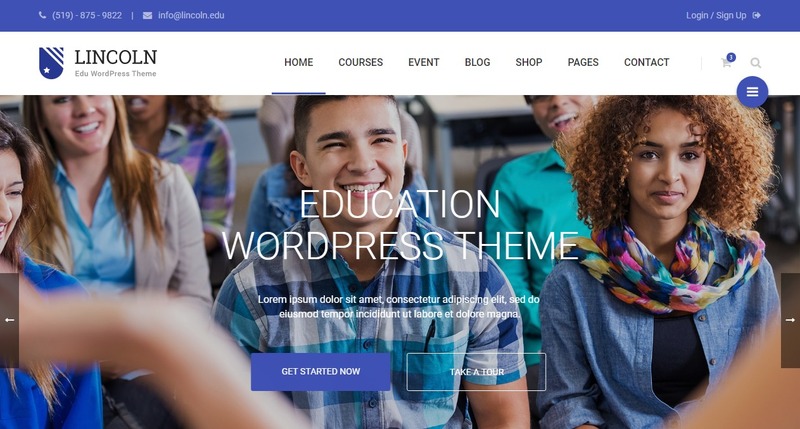 Lincoln is a new-age education WordPress theme packed with innovative designs. It is powered by LearnDash, an intuitive LMS Plugin with multi-level courses, quizzes, and drip-feed content. Lincoln has a powerful Visual Composer, Live Demo, and Revolution Slider. It works on WooCommerce and lets you sell courses and event tickets through the portal. Edupro is a user-friendly educational theme. It is based on LearnDash, an LMS used by popular education themes. It offers over 10 exiting homepages with over 350 theme options. It lets you structure multi-tier courses and drip feed your content to your users. It works on WooCommerce and supports bbPress and BuddyPress. With virtually limitless color options, 800+ Google fonts, Visual Composer, Revolution Slider and one-click demo data installation, Edupro is truly a pro among education WordPress themes. 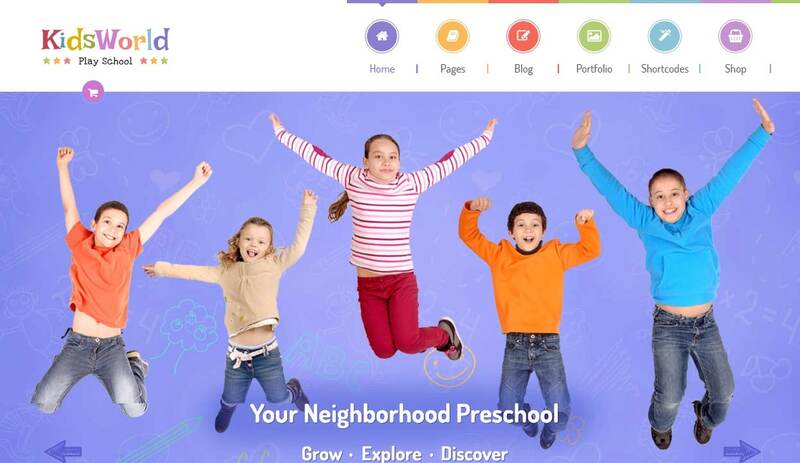 Preschool is the perfect education WordPress theme for play schools and nurseries. It is a fun and engaging theme designed to attract and hold the attention of toddlers and kindergartners. It has a responsive design complete with Visual Composer and Revolution Slider. Preschool is multilingual and has unlimited colors. It has 7 pre-made homepages, one-click demo import, and supports WooCommerce. My College is an interactive education WordPress theme with touch-and-swipe action. It has a responsive layout with 3 different Color Styles. It has simple and easy-to-customize templates. My College can be accessed from multiple devices including iPhones, laptops, desktops, and tablets. It offers live previews and lifetime customer support and updates. WPLMS is a multi-faceted education WordPress theme. It can be used by schools, colleges, and corporates. It can be customized for education, photography, marketing, software, and business training. WPLMS lets you create and sell courses online through WooCommerce and also track student performance in real-time. It has over 700 design options and 8 demo homepages. It has one-click data import and front-end course creation and management. WPLMS supports BuddyPress and has its own mobile app. It is used by many Fortune 500 companies as a training module theme. Kalium is an education WordPress theme for professionals. It is a creative theme packed with over 4000 font options. It has Visual Composer, Revolutionary Slider, Layer Slider and single-click demo install. Kalium has WooCommerce, RTL support, and WPML integration. It is fully customizable with 30+ Portfolio Types and 800+ icons. It is retina-ready which means it looks stunning on HD and retina devices. 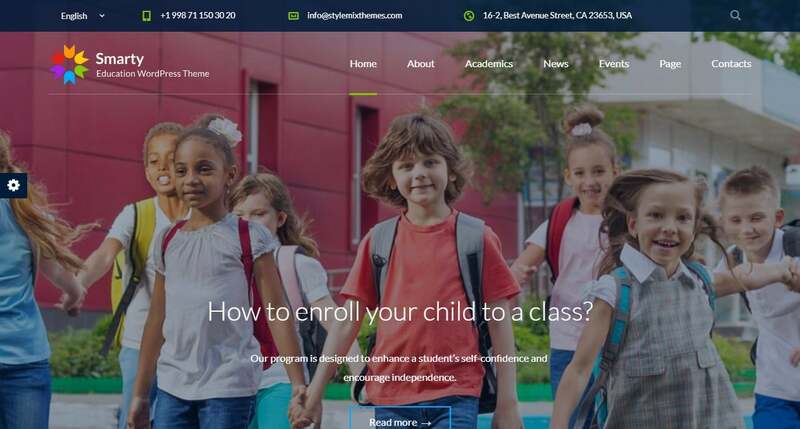 Jevelin is a popular education WordPress theme. It is a multi-purpose theme built for schools, colleges and varsities. It offers 20+ demo homepages and has one-click import. It has WPBakery (formerly known as Visual Composer) for visually guided page building with drag-and-drop function. Jevelin is supported by WooCommerce and is RTL-optimized. It has Slider Revolution, live content editing, and 40+ custom shortcodes. It is also SEO and mobile-ready. Ed School is an education WordPress theme for kindergarten, elementary schools, and high schools. It has over 5 years of experience in developing school-centric templates and has over 8000 loyal school theme user. Ed School is a scalable and flexible theme packed with engaging graphics for young children. It features WPBakery Page Builder, one-click demo install, Revolution Slider, 4 Premium Plugins, 73 Page Building Elements and 24 School Niche Pages. Ed School has Contact Form 7 which allows developers to manage and customize multiple forms. Overall, it is an excellent interactive theme that keeps teachers, parents, and students connected. Bright is the perfect education WordPress theme for advanced courses like Masters and Ph.D. It can also be used for technical research and development, and Bachelors programs. It is supported by LearnPress and has end-to-end LMS support. It has Visual Composer with 50+ drag-and-drop pages and blocks. It has 2 types of homepages and one-click demo install. Bright runs on WooCommerce. It is compatible with Udemy, Coursera, Lynda and other LMS-based websites. Supports Udemy, Coursera, Lynda, etc. 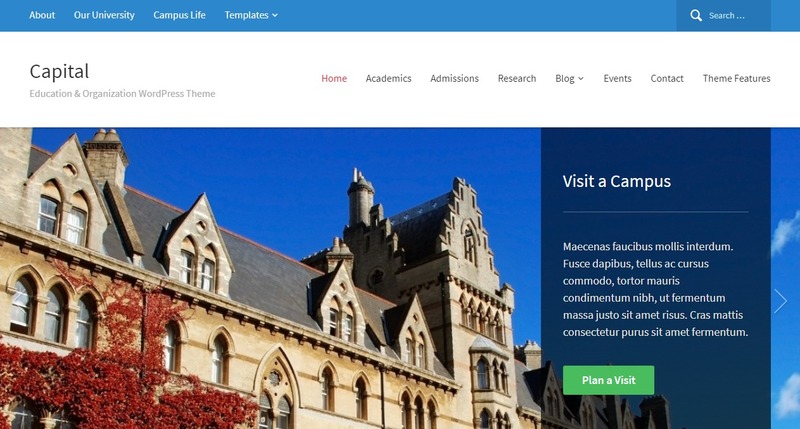 Academia is a versatile education WordPress theme for school and college kids. It is based on LearnPress and is packed with HD video tutorials and online course material. It has Visual Composer, unlimited color variations, Google fonts, multiple header options and drag-and-drop page builder. Academia is SEO-optimized and features plugins like Yoast SEO and Yoast Analytics. It is WooCommece-ready and has dedicated customer support. Invent is a flexible education WordPress theme crafted especially for colleges. It features over 30 Page Builder Widgets and 8 unique Post Types. It has countless color options, 500+ Google fonts, 1500+ retina icons and 60+ shortcodes. Invent is driven by LearnDash LMS and has custom templates, styling, and sidebars for LearnDash. It has Parallax/Video Sections, Revolution Slider, Flex and Nivo Sliders and Contact Form 7. The theme is multilingual and WooCommerce-enabled. Masterstudy is for online courses. It is a responsive and interactive theme custom-designed for eLearning and distant learning course. It offers both free and paid courses. It has WooCommerce, online documentation, ticket system, video tutorials, one-click demo content import, Visual Composer, Revolution Slider and WPML support. Masterstudy has live chat support and real-time Q&A system. It has 4 Skin Presets and 2 Header Options. Another cool education WordPress theme is Clever Course. This LMS theme is built for schools, colleges, and universities. It allows users to create and sell online courses. It features an easy-to-use demo importer, customizable pages with near-infinite color and font options. Clever Course lets you sell your online courses through PayPal, Stripe, Paymill, Authorize.Net and Cloud Payments. Students get a course certificate once they complete a course successfully. The theme is multilingual and has an international clientele. Fable is a fun and engaging education WordPress theme for toddlers and preschoolers. It has eye-catching visuals and graphics to grab the attention of small children. It is cross-browser-compatible, retina-ready and has lifetime updates. It has a Revolution SLider, built-in timetable, Theme Demo Data Installer and a convenient drag-and-drop functionality. Fable has a versatile shortcode generator with over 35 content elements. It is multilingual, and WooCommece and RTL-ready. Bungtington2 is a top-rated education WordPress theme for schools and colleges. It uses SiteOrigin Page Builder with a real-time content editor and Kirki customization. There are numerous plugins for online courses, events, and galleries. Buntington is supported by WooCommerce. It has 15 SiteOrigin compatible widgets, 2000+ icons, one-click installation, Cinema Header, Child Theme, unlimited colors and several hundred Google fonts. It is translation-ready (WPML-integrated) and is fully documented. Capital is a multi-purpose education WordPress theme. It is used by educational institutes, corporate houses, small businesses, and charitable organizations. It has a Dynamic Homepage Builder complete with visually customizable templates, Full-width Slideshow, and Advanced Theme Options Panel. It is retina-ready and supports WooCommerce and WPML. Capital lets you post upcoming events through the Events Calendar plugin. It is SEO-oriented and has a one-click demo importer. UOCE is an acronym for University of College Education. It is an incredibly fast and feature-rich education WordPress theme for all kinds of educational and training institutes. Its responsive portal offers flexible Course Management, Events Management, Team Management and Gallery Management. It is SEO-friendly, WPML-ready and comes with an Advanced Page Builder with a visual editor, unlimited fonts, colors, and sidebars. The theme has one-click demo installation, Contact Form 7 and CS Theme Option. If you are looking for an awesome education WordPress theme for preschoolers, we suggest you try Kids World. It is 100% retina-ready and accessible from various gadgets. It has 9 homepage layouts with handcrafted elements. It has attractive shop pages with great plugins. Kids World has Revolution Slider, Visual Composer, Contact Form 7, Events Calendar, Google Maps, Layer Slider and convenient email management through Mail Chimp. It is supported by WooCommerce and has WPMP-integration. For social networking, it uses bbPress and Buddy Press. Varsita is an excellent education WordPress theme for schools, colleges, and eLearning. It has Themeum-LMS Plugin and a Media Player integrated into the theme. The intuitive admin panel allows for flexible Teacher and Course Management, Speaker Profile Management and Events Management. Varsita works on WooCommerce and Paypal. It has bbPress and RTL integration. It has a Visual Composer, Slider Revolution, and 5 homepage layouts. Kiddie is a fun education WordPress theme for playschool, kindergarten and primary school. It has a large collection of exciting games, great teachers, and interactive programs. It has Visual Composer, Revolution Slider, SEO-integration and retina-optimization. Its Responsive Timetable allows you to create and share events like classes, play-sessions, meals, excursions, parent-teacher meetings, etc in minutes. It has 20 pre-built pages, Gallery Management, unlimited colors and fonts, one-click demo import and great customer support. All payments are via WooCommerce. Polytechnic is a student-focused education WordPress theme. It has Extended User Profiles that allow the faculty to edit, delete and upload course content. There is a wide collection of courses and catalogs on Polytechnic. Polytechnic is based on Sensei Learning Management System. It has Visual Composer, Revolution Slider, WooCommerce, Contact form 7, Ajax Live Search, WPML-support, unlimited colors and 1000+ Google fonts. Statfort is a responsive education WordPress theme built with Bootstrap 3 front-end framework. It can be accessed via multiple devices like smartphones, tablets and laptops. Statfort has audio podcasts, skill grooming programs and fun sporting events. It has WPML and WooCommerce integration. It has Course, Events and Gallery Mangement. 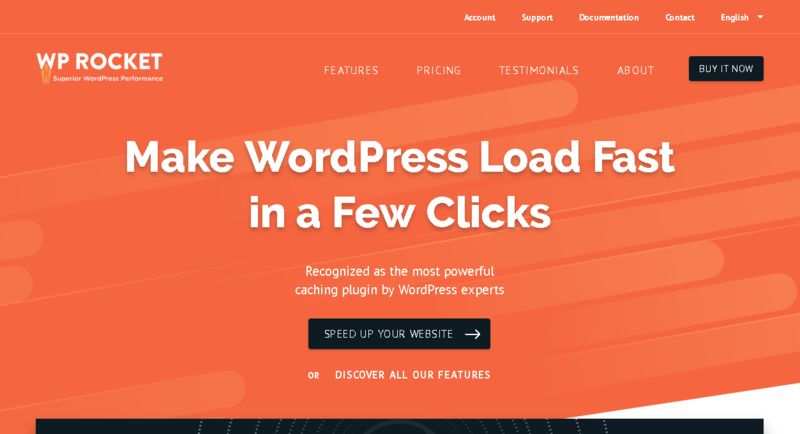 There are 10-pre-designed color patterns, drag-and-drop functionality, Slider and Sidebar Management and an intuitive Page Builder and Theme Options. It also has Contact Form 7 and Mail Chimp. Guru is a highly scalable education WordPress theme for educational institutes and online courses. It is seamlessly integrated with bbPress, Buddy Press, WooCommerce, WPML and Mail Chimp. Guru allows you to create and share Events Calendar, conduct online quizzes, post video tutorials and track student performance. It has an elaborate Lesson Management, Teacher Profile, Extended User Profile and Rating/Grading System. It is powered by Sensei LMS and has a Mega Menu with Image option. It also has RTL and SEO integration. Driveme is a driving school-specific education WordPress theme. It is fully customizable, flexible and has many cool features. It has a Drag-and-drop Page Builder, 3 homepage options, 2 headers and 2 pre-built sliders, 5 gallery page styles and 2 course detail pages. Payments are handled by PayPal and Stripe. It has Grid and List Styles for Course Listing, unlimited colors and Google maps. It also has a separate page for teams and instructors. Academy is extensively used by under and post graduates. It is an intuitive education WordPress theme with Extended User Profiles, Lesson Management and an onboard Media Player. It allows users to rate and grade performances, track course progress, and upload course material in the form of Lesson Attachments. Academy has a flexible Theme Options Panel, 4 Custom Post Types and 2 Sliders (Parallax and Boxed), WooCommerce support and WPML-integration. The theme offers unlimited color, font, sidebar and background customization. 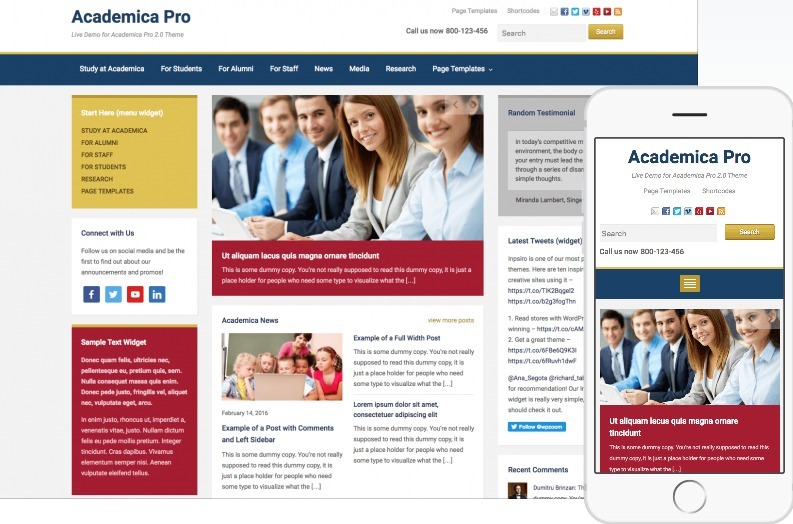 Another great education WordPress theme is Academica Pro. It works with all kinds of educational websites. It features a 3-column page layout, Dynamic Homepage Builder, Theme Options Panel, Events Calendar, 4 HomePage/Posts Layout and Visual Composer. It supports WooCommerce and is retina-ready. The Featured Slider has 4 sizes. Academia Pro supports Breadcrumbs from Yoast SEO plugin. There are separate left and right sidebars. The theme is WPML and SEO-ready and has one-click demo importer. Kiddy is a colorful and interactive education WordPress theme for kids. It has fun games and activities that focus on a child’s overall development. It has a built-in timetable that allows teachers and parents to connect, share and receive information on classes, activities, pick-ups, and drops. Kiddly is retina-ready and has Extensive Style Options. It has a simple drag-and-drop feature that lets you customize your content. The theme has video tutorials through YouTube and other online media, is translation-ready and has WooCommerce payment. It also has a CWS Builder, Shortcode and Sidebar Generator, unlimited colors, fonts, design, and backgrounds. 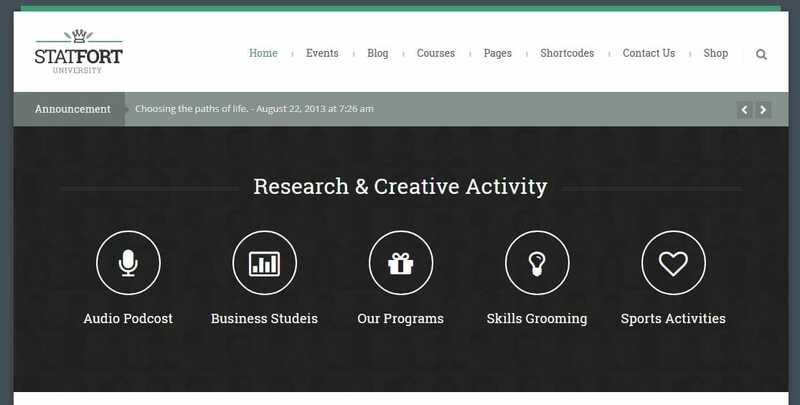 Campus is a multi-purpose theme suitable for campus life, admissions, sports and art events. It has a SuperSkeleton framework with convenient drag-and-drop option, 2 Slider and Custom layouts and SEO integration. It has a wide library of 10,000+ Google fonts, countless colors, Revolution Slider and WooCommerce payments. Campus boasts a Mobile Touch Slide Menu and JackBox Responsive Lightbox. It is retina-ready and has an Animated/Isotope Portfolio Grid. Course Builder lets users develop and sell educational courses online. It is a fast and flexible education WordPress theme used by over 20,000 educational institutes around the world. Course Builder uses LearnPress LMS. It has Visual Composer, unlimited fonts, colors and backgrounds, and WPML-integration. It is supported by WooCommerce, PayPal, Stripe, Authorise.Net, and 2Checkout. Course Dashboard features include Thinkific, Udemy, Lynda, and Coursera. Foundation is a super-fast and intuitive education WordPress theme for schools and colleges. It has Visual Composer with drag-and-drop functionality, WPML-integration, unlimited color and fonts and one-click import. It has a 3-column responsive layout design with blogs, testimonials, course and staff directories, gallery and video tutorials. Foundation has 4 color styles, is SEO and WPML-friendly and has Right-to-felt (RTL) orientation. It comes with a 30 Day Money Back Guarantee and has excellent in-house support. All payments are via PayPal and 2CheckOut. Upside is an interactive education WordPress theme full of exciting features and DIY customizable templates. It specializes as a medical education theme and has a medical-oriented design. It has Doctor Management that allows users to view doctor profiles, schedule appointments and create appointment forms via Contact Form 7. Upside has Visual Composer, Bootstrap CSS framework, multiple shortcodes and bundled custom widgets. It is supported by WooCommerce and bbPress. Upside has user-friendly Staff Management, Events Management, and Course Management options. Enfant is an amazingly light and customizable education WordPress theme for music academies, kindergartens, and schools. It has 30+ homepages, video tutorials, Visual Composer, Revolution Slider, 1 click demo import and Essential Grid. Enfant is supported by WooCommerce and is retina-ready. It has Contact Form 7, WPML-integration, Custom Elements, unlimited color and fonts, and Mail Chimp. Enfant in linked with Instagram and Flickr Grid Feed. Social Learner is a LearnDash-based education WordPress theme. It has multi-tier lessons, online tests, lesson timers, and a reliable performance rating system. It has provision for public and private messaging between users. Social Learner segregates learners into groups and has separate course and group forums. The theme is supported by WooCommerce. It is retina-friendly and has plenty of customizable templates. LeadEngine is a versatile education WordPress theme with over 35 pre-built demo website pages. It has demo web pages for education, business, digital agency, events, beauty salon, car rental, finance and many more. It is packed with 200+ unique templates and has 1-click demo importer. LeadEngine comes with premium plugins like WPBakery Page Builder, IconsMind Pack, and Revolution Slider. It has lifetime free updates, WPML-integration and WooCommerce payments. Diplomia, as the name suggests, is a special education WordPress theme for diplomas and online training course. It is used for diplomas in electronics, healthcare, history, biology, and design. Diplomia is powered by LearnPress LMS. It has Visual Composer, Custom shortcodes, Slider Revolution, Course, and Events management, Contact Form 7, unlimited colors, Google fonts and WPML-integration. For payments the theme has WooCommerce. Magicreche is for toddlers and preschoolers. It has a creche-specific theme with attractive colors and graphics. It is retina-ready, multilingual and has an exhaustive library of colors, Google fonts and shortcodes. Magicreche uses Google maps for navigation and has a robust Theme Options Panel. It has Bootstrap 3.0 front-end framework, Font Awesome icons, timetable, Staff Slider, Custom Page Types, and is polylanguage-compatible. Educon has plenty of cool features and a super-responsive design. It is the best education WordPress theme for educational institutes and eLearning. It has separate Events, Course and Profile Management systems. Educon uses a Noticeboard to disseminate information in real-time. It has 3 homepages, one-click demo importer, WPBakery, WooCommerce, Mail Chimp, Contact Form 7, and Full-width and Box layout options. It is multilingual-ready and has dedicated support. Education Pack is a versatile and flexible education WordPress theme. It can be used for school, college, design school, music school, dance school and driving school, and various other vocational training courses. It has Visual Composer, Blogs, Mail Chimp, Custom Framework that offers live previews, real-time notification, multiple header layouts, RTL-optimization and WPML integration. Education Park is SEO-ready and has a one-click installer and Revolution Slider. Courses can be bought and sold via PayPal. LMS is a Sensei-powered education WordPress theme for schools, colleges, and varsities. 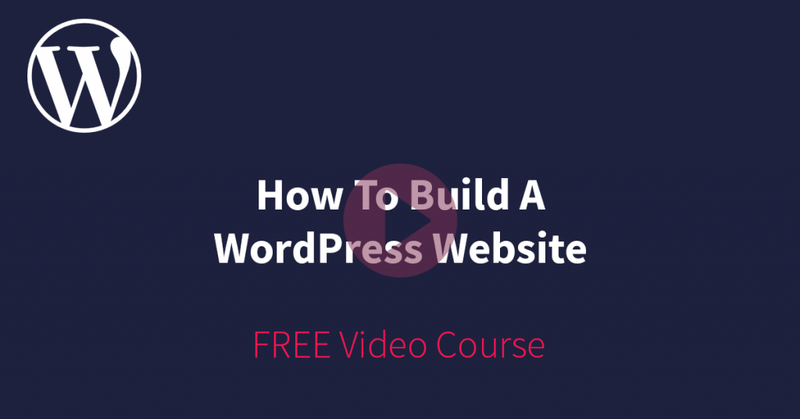 It has a fully customizable design complete with WooThemes Sensei plugin support, Teachers Profile, drag-and-drop page builder, Custom Course Post types, and Google fonts. It provides free updates and has a dedicated support team. LMS is retina and WPML-ready. Smarty is a universally applicable retina-ready education WordPress theme. It is suitable for kindergarten, school, college and university. It has 3 demos, 18 custom content pages, 4 pre-built color schemes, 3 footer layouts, video tutorials and live chat forum. Smarty has an elaborate Teacher Profile, Events Calendar, Timetable, Classes, drag-and-drop page builder, Slider Revolution, and WooCommerce support. KIDIX is the ideal education WordPress theme for child care centers, kindergartens, and preschool. It is extremely easy-to-use and customizable. It features a Visual Composer, PSD Source Files, Teacher Profiles, Class Information, Google fonts, unlimited colors, Bootstrap 3.0 framework, and Parallax Header. KIDIX has a useful Customizer that allows users to make changes to their content and see live previews. It is a multilingual and SEO-friendly theme. 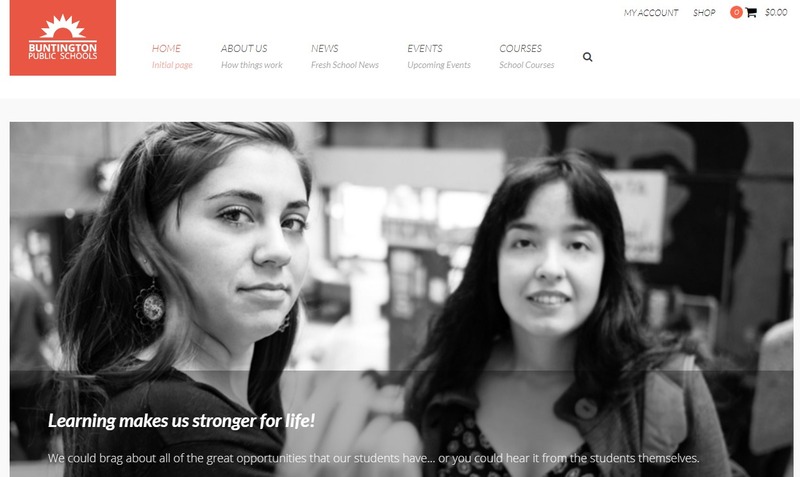 EducationPress is an incredibly fast and responsive education WordPress theme. It has free and paid text and video-powered courses. It has 13+ built-in payment gateways and is also compatible with WooCommerce. EducationPress has 7 demo homepages, 25+ page templates, interactive learning sessions, quizzes and courses. It works on bbPress and Buddy Press. It is translation-ready and includes PSD files, unlimited color and fonts. Edumodo is a feature-rich and scalable education WordPress theme. It is packed with the three most widely used LMS frameworks: LearnPress, LearnDash, and Sensei. From playschools to universities, this versatile theme can be used by all institutes. Edumodo offers a 7-day money back guarantee. It has Elementor Page Builder, 6 layouts, WooCommerce integration, one-click demo import, powerful admin panel, SEO-orientation and dedicated support. Grand College is an intuitive and scalable education WordPress theme. It has drag-and-drop page builder which lets you incorporate posts for galleries, testimonials, and portfolios. It has a Slider Manager, custom widgets, plenty of shortcodes, built-in course table, SEO optimization, 450+ fonts, 6 footer layouts, 6 custom post types and 15 background patterns. Little People is the perfect education WordPress theme for play schools, nurseries and after-school arts and crafts classes. It has a child-centric design. It has a Teachers Profile, Visual Composer, Revolution Slider, Essential Grid, Timetable plugin, live updates, Google fonts and customizable colors. Little people is retina-ready and multilingual. It has one-click demo import, testimonials and video tutorials. The Keynote is an education WordPress theme specially developed for meetings, seminars, and events. It is responsive and clean in design and functionality. It lets you schedule meetings, talks, travel, and hotel stay for guest speakers through an easy-to-use Program and Time Schedule. The Keynote is multilingual and accepts payments via PayPal. It has Speaker Post Type, Master Slider, Advanced Admin Panel, Session Post Type, Visual Page Builder, Time Tracker, Parallax/Color option, and WooCommerce integration.